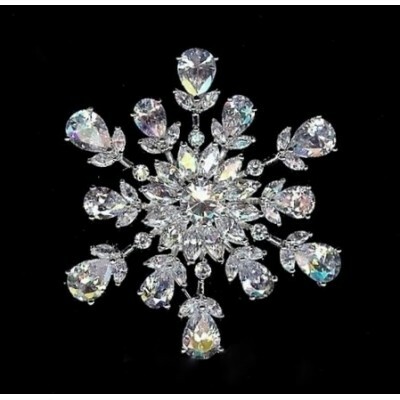 The Belinda bridal brooch is a super-sparkly bridal or special occasion brooch with a beautiful vintage feel. Using AAA-Grade Cubic Zirconia stones, this piece can dress up even the most plain of outfits! You can wear this brooch on a bridal gown, on a winter coat or cardigan, or you can pin it e..